Here are my examples from pieces finished in the above stains. 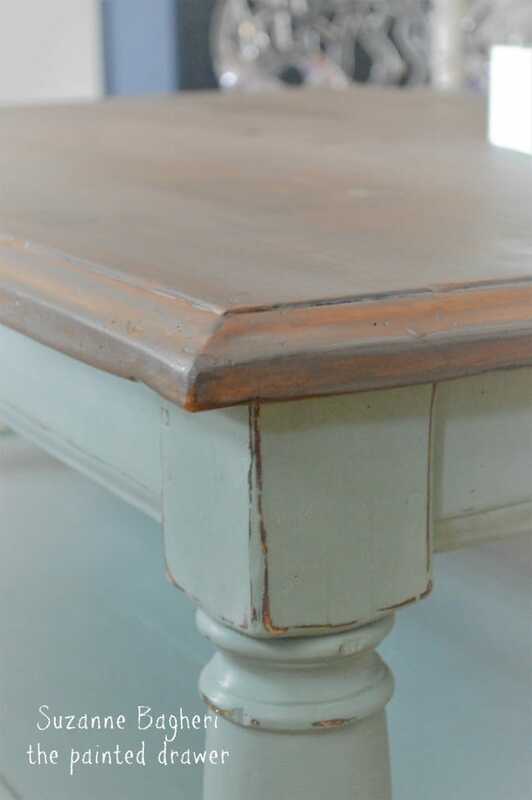 From classic to beach or weathered, I believe each stain gives a different look to a piece. 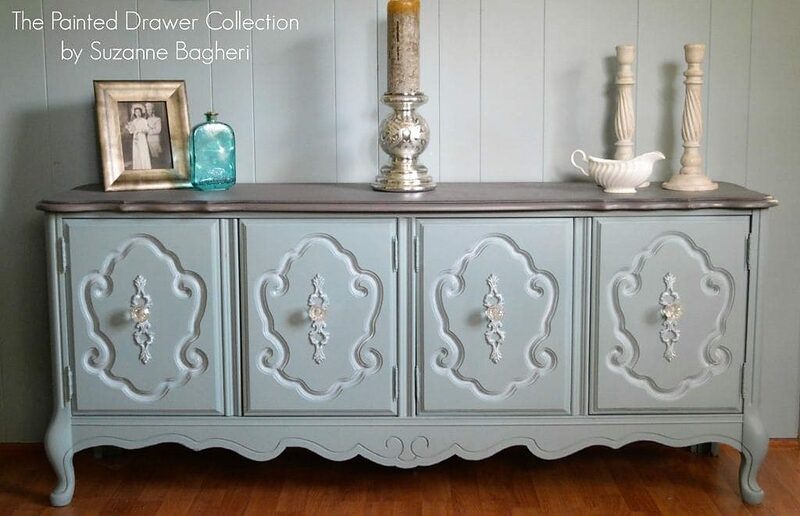 The Bassett Cabinet was stained in Minwax Weathered Wood. 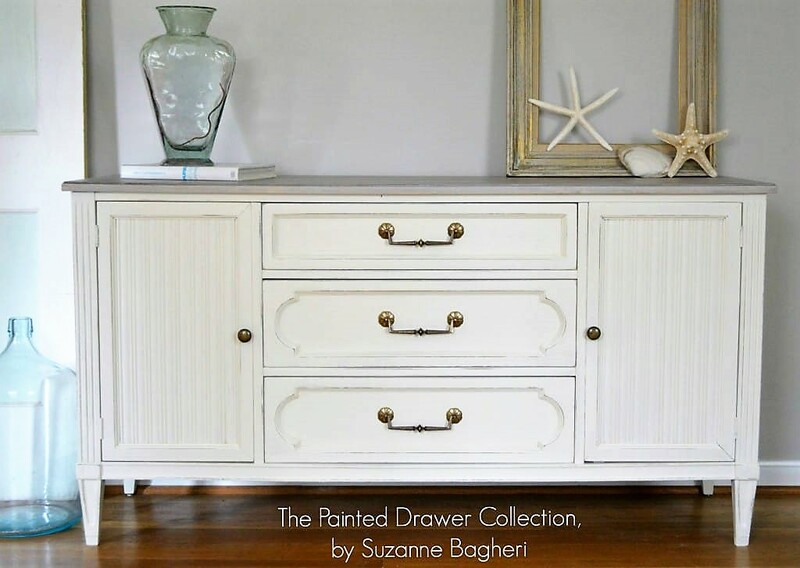 The Beach Chic Dresser was stained in Varathane Sunbleached. 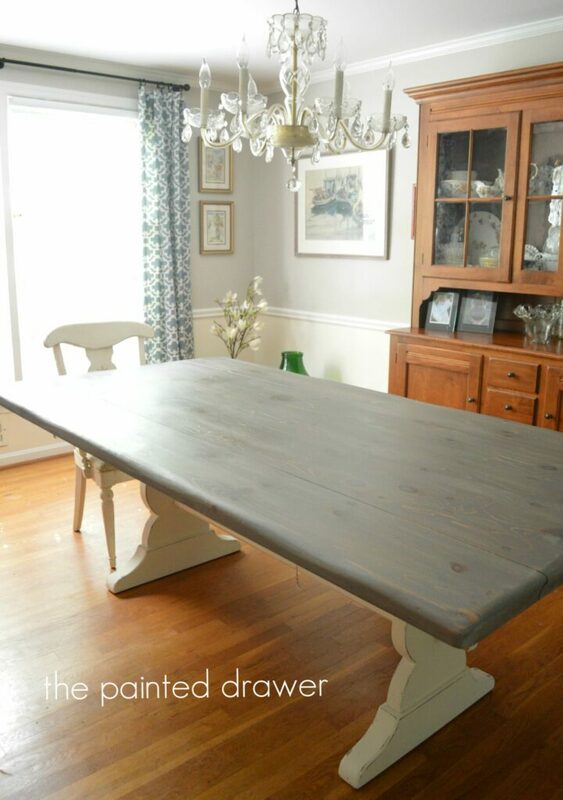 It’s creates a lighter coverage than the Minwax. 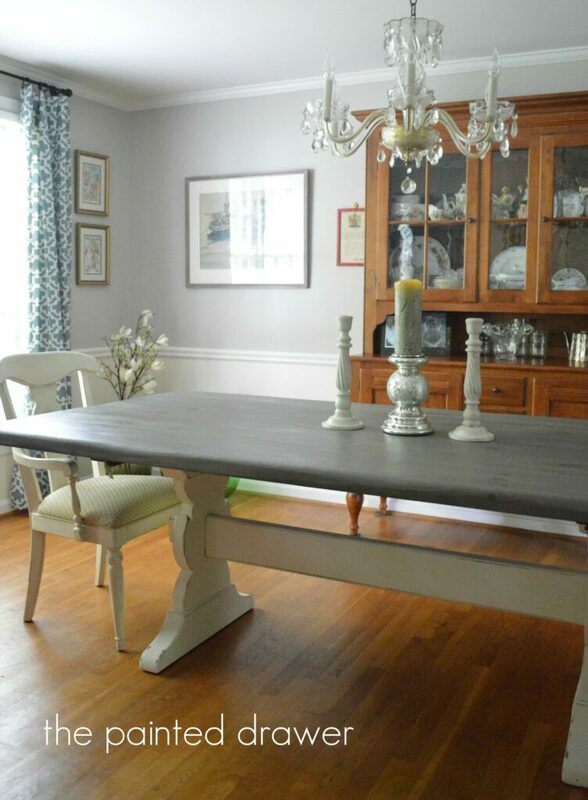 The Farmhouse Table was stained in a combo of General Finishes Walnut and Whitewash (3 parts Walnut to 1 part Whitewash). 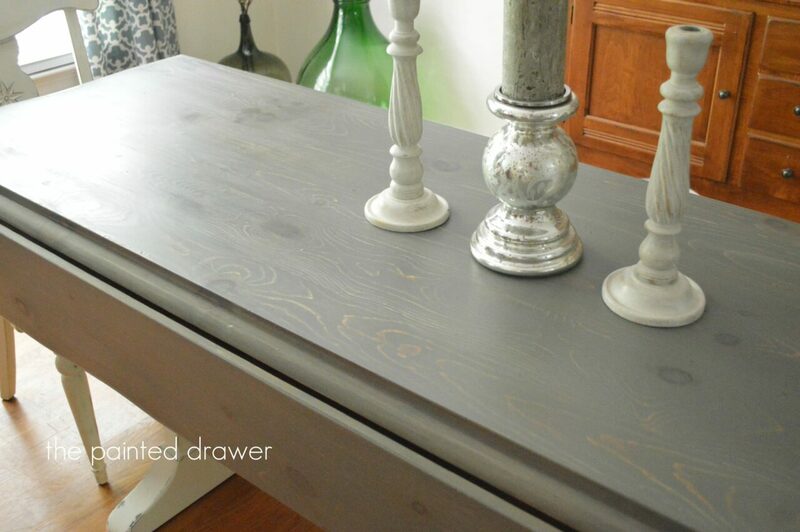 I love this combo for a true rustic gray that allows the natural wood to show through. 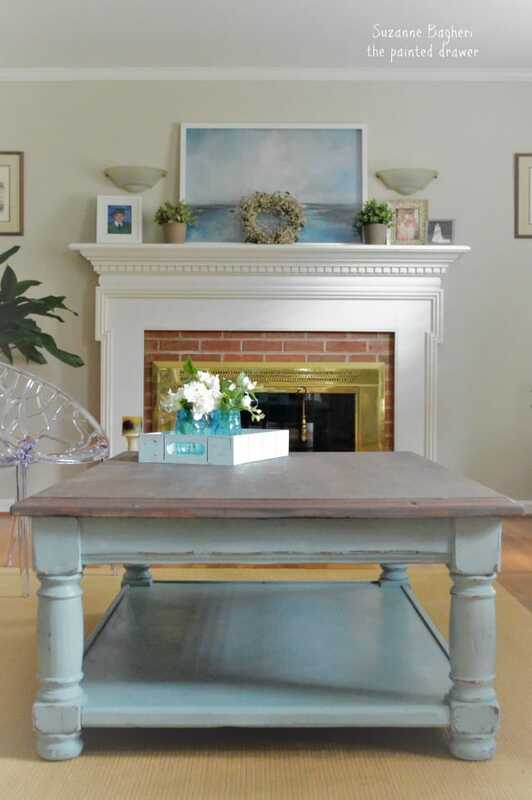 Lastly, the Country to Beach Chic Coffee Table was sanded back to its original grain and a combo of Varathane Dark Walnut and Minwax Weathered Wood (3 parts Walnut to 1 part Weathered Wood) was applied. 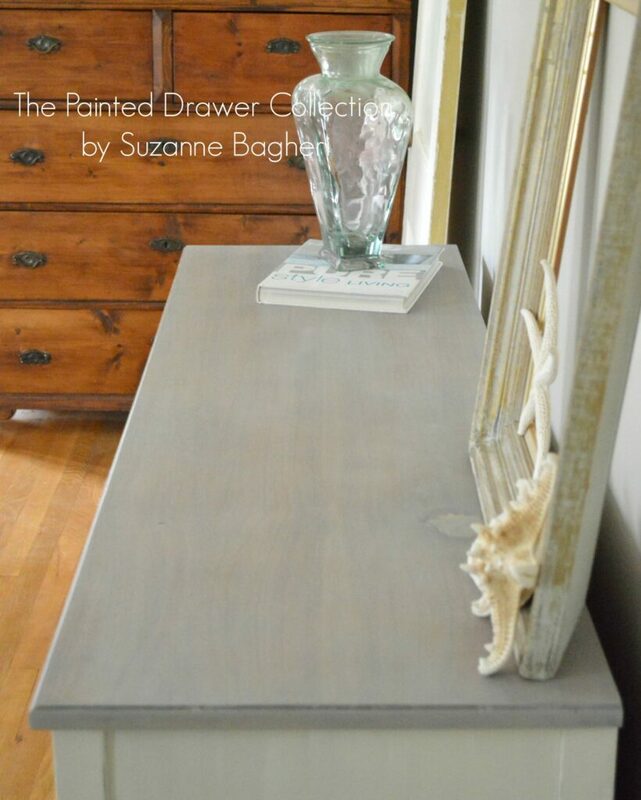 I happen to really love those gray, whitewashed beachy wood tops. I’ll share another one tomorrow with a new Before and After post! Rescue, redesign and reinvent at its best! Could you list the base colors of the coffee table and Bassett sideboard? They pair so well w the tops. 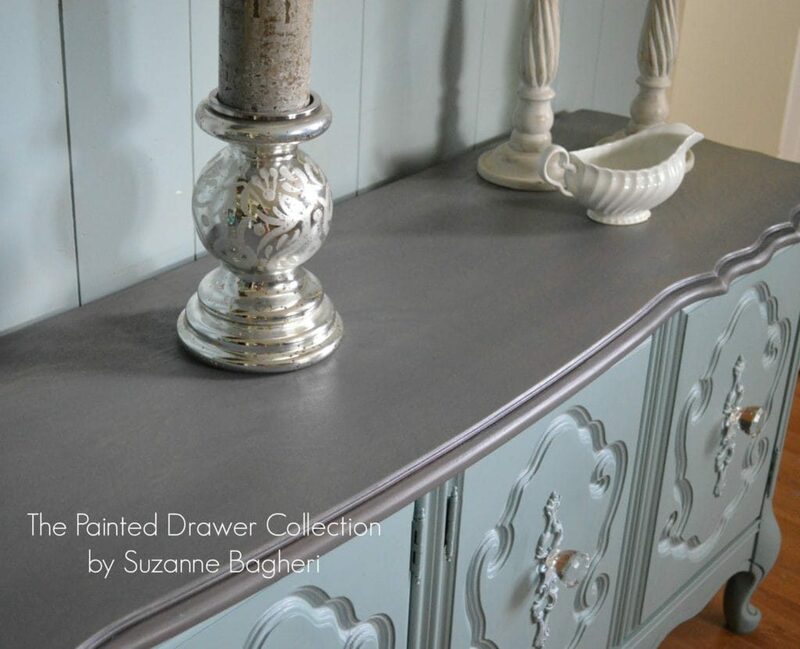 I love gray, especially w that off beat turquoise like color. Beautiful! 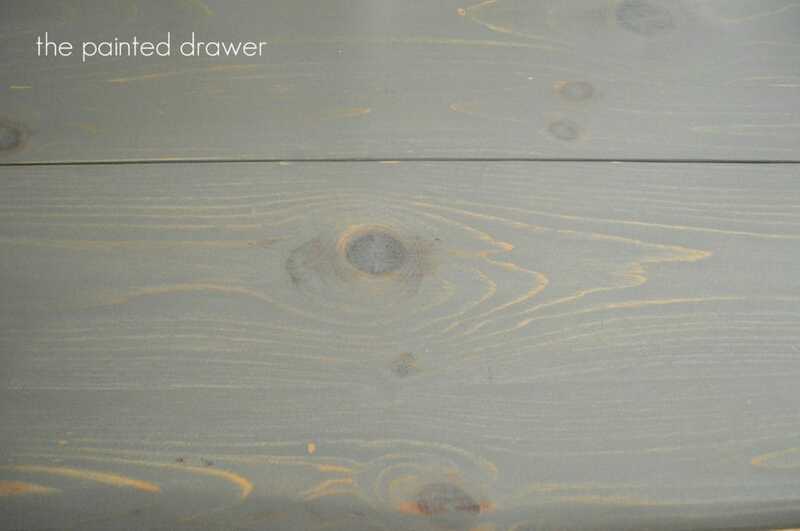 Hi Jauqetta, the coffee table is AS Duck Egg and the sideboard is Stillwater Blue by General Finishes. There are links to the original posts within the post (if you wanted to click over and see). Thanks! Hi! Because the missing piece was too large and if I had filled it, it would have looked like a glaring fake piece of wood filler. Plus it would have been knocked out again the second someone tried to lift the table, etc. and so, instead of a glaring fake mess, I let it age gracefully. We all have our imperfections from our years 🙂 Cheers!